This is our most popular line of blocks! Their toggle pin design makes them easy to open, yet they reliably stay closed under load. Also called yarding blocks, they are extremely popular with our off road customers. 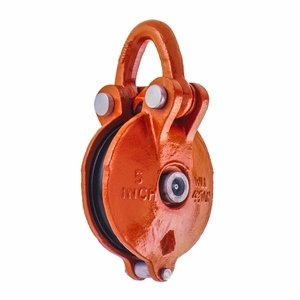 For anyone that wants a reliable rigging block with a compact design and a great track record, this block makes a great choice. You'll notice the sheaves roll nice and smooth thanks to ball bearings and a pressure grease fitting.